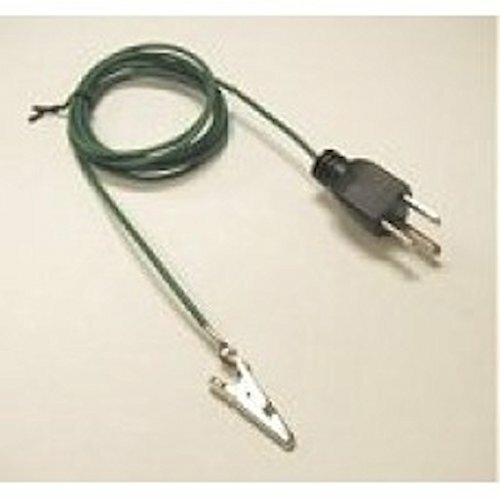 Need a ground cord 12-foot long ground cord, alligator clip on one end bites onto fabric, 3-prong-style plug on the other end plugs easily into your grounded outlet. Only the round lug is connected to the wire. The 2 flat prongs are not connected to anything. Very effective! Eliminates electromagnetic discharge. Use it with any EMF shielding material or electronic products (computers, etc) to ground them.